Bottle labelling machine UK wide options may be something you are researching into if you are looking to streamline your production and packaging processes, or improve the look of your finished product. Applying bottle labels comes with a range of difficulties, from ensuring that the details on the label can be easily read to fixing the label in the perfect position so that it is straight; and does not overlap or cover that information. Getting all this right requires a labelling machine. However, it is crucial that businesses purchase the right labellers in order to get the finished, professional look that they require. Label machines come in a wide variety of shapes and sizes, and different machines are better suited to some jobs rather than others. If you work with bottles, vials or other round containers, then it is important to purchase a machine that is suited specifically, or at least primarily, to this job. One of the key elements to look for in this case is the types of bottle materials that can be used with the machine. Most of the best labelling machines can be used with plastic, glass or metal containers. Size is another consideration. What size are the containers or bottles that you need to pass through the bottle labelling machine UK based? What are the minimum and maximum sizes that the labelling machine can be set to? If your containers fall outside of the parameters, then the machine will be of little use to you. 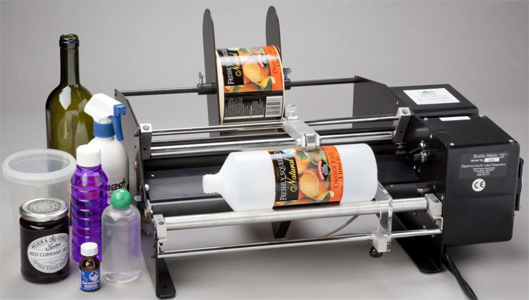 It is also worth checking how the bottles move through the automatic or manual bottle label applicator UK based. Do they move through on their sides, or standing? While this might not affect the labelling process, it may well impact on your packing and shipping department. This is particularly true if you want to integrate the machinery into an existing production line. Once you know the key elements you need from your bottle labelling machine, you need to consider where you are going to purchase the machine from. When choosing a company, it is important to find one that has a good reputation within the business. Spend some time researching different companies, and pay particular attention to the experiences of previous customers. Read testimonials and reviews, both on the company’s website and on independent third-party sites. Look for information on the quality of the machines themselves, the level of customer service they offer and their approach to aftercare. As well as having good reviews, you want a company that is knowledgeable. Don’t be afraid to ask questions about the different types of automatic and manual bottle labelling machine UK wide that are available. Asking about parts, repair costs, maintenance and servicing is also important. Your machine needs to be a good investment in the long- as well as the short-term. At Sessions UK, we specialise in providing you with the labelling machine you need. We always take the time to get to know a business and its needs before suggesting the appropriate bottle labelling machine UK based to our clients. If you want to know more about us, or simply want to browse the range for yourself, then why not visit our website at https://sessionsuk.com? You can also purchase online, or use our contact form to get a quick quote. If you have questions, or want a more in-depth explanation of any of our machines, then call us on 01904 610613.